With this said, the trip provided me a rewarding experience that only Lactaid can cure the next time I venture forth with so much mozzarella. 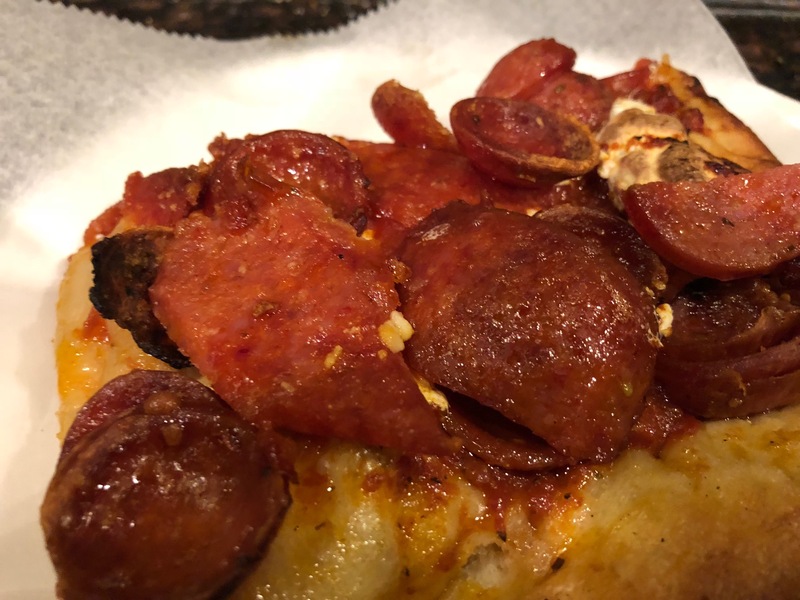 And, although, the New York slice, the version that you dab with a napkin to relieve of extra grease, rolling-up like a New York Times straphanger, is becoming extinct like said transit-rider, it still is served deliciously — and for me, gratefully. On Quora – the internet answer for everything — someone tried to figure out the number of shops, reckoning it’s anywhere from 3200 to 32500. Suffice it to say it’s a broad number. They even try and figure out how many per day a pizzaiolo must toss, bake and sell (about 50) to stay in business. Whatever the case and take this with a grain of well-tossed salt hidden in the folds of rising dough, here are my selections for a few grand pizzas – in today’s Manhattan. Formerly known as Ray’s when I lived was a poor New York student in the eighties, I would stumble by for a pepperoni slice after nightclubbing, something to soak up the alcohol. Purchased a decade ago, the existing owners kept the place alive and very much a Soho tradition. 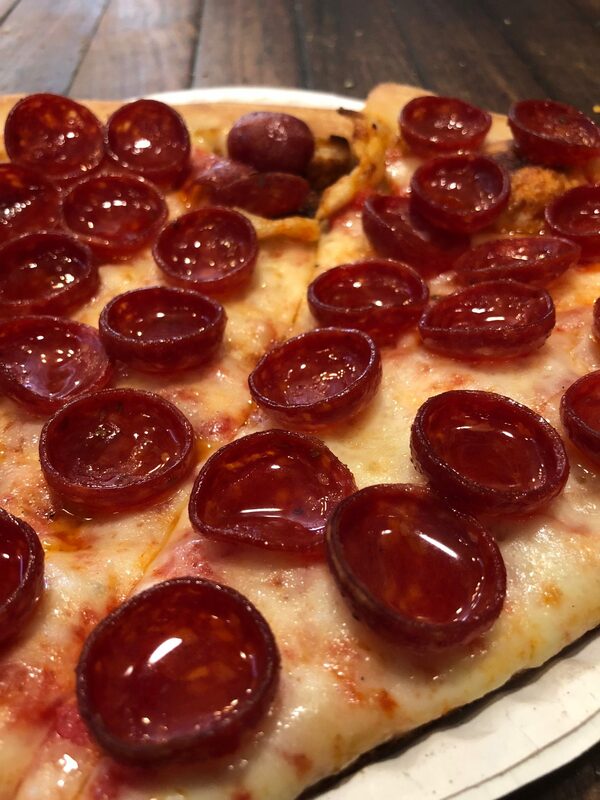 Instead of the fold-and-go variety of pies, they execute a Sicilian square loaded with small circles of spicy pepperoni. When baked onto one of the gooey delicacies, they become mini-cups of flavor, holding liquid fat, ready to drip down your chin or shirt. There are only a line and a counter so may do like a New Yorker and eat while walking. I came by the Romanesque pizza shop after Uber hightailing from a meeting in Brooklyn to Lexington and 78th only to be thirty minutes early. 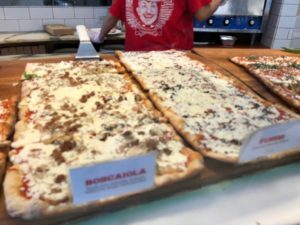 Rarely do opportunities arise with time on your side, so I sought out a quick place to eat and came across Farinella Pizza and Bakery. Here the pies are elongated rather than round and the dough stretched rather than tossed. Regardless, it’s really delicious with a crispy under-carriage while it grips onto the selected toppings. The margherita is divine Italian simplicity at it’s best. 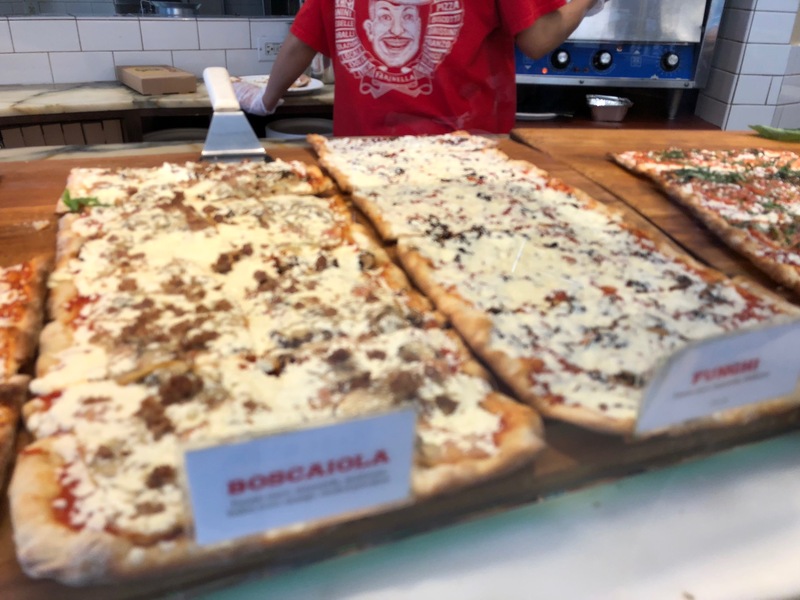 Who knew that pizza – an import foodstuff brought over by Italian immigrants – could be so delicious in the hands of a Turk? Hakki Akdeniz worked for many years making $300 per week to learn the tasks of pizzaiolo trade. 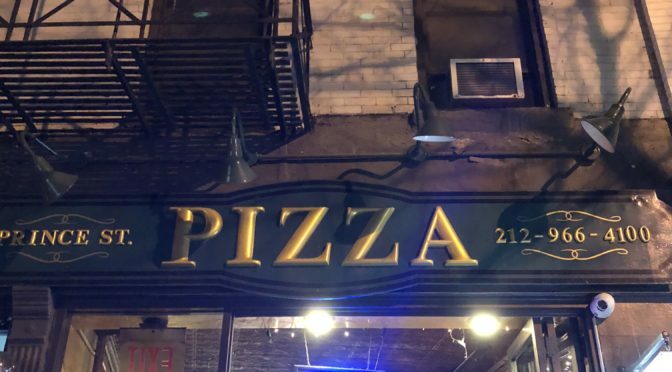 The outcome is a true slice of New York pizza. Folded in half, paper plate underneath – and a walk to the subway – or hanging out at one of the few tables. Eating the chewy dough and cheese with just that right amount of giving made me feel like all is right with the world – that Andy Warhol, Deelite and Nell’s where still around.